We showed up at the third open indoor day with a smaller handler line than the previous two outings. But with reinforcements in the cutting line were prepped to give it our best. First up was ufo2. This match followed the theme perfectly, but we got away with a few points lead in the end again, winning the match. Then W.A.F., W.A.F. is turning out to be our nemesis this season, having narrowly lost last time around. This match followed the theme of the day again, and to my frustration, led to a tie, going with a lead in the final point. Not following the theme was the match against Frisbee Club Veenendaal Tijgers, we lost outright with a large differential, props to the just promoted team. The last match was against Force Elektro who just relegated from third. This time we followed the theme of the day again, but managed to take off with such a lead that we could manage the last points until the time was up. To get away with a surprising win. Our overall conclusion was that this match should not have lasted 5 minutes longer. It was a great day of ultimate, thanks W.A.F. for organising onces more. 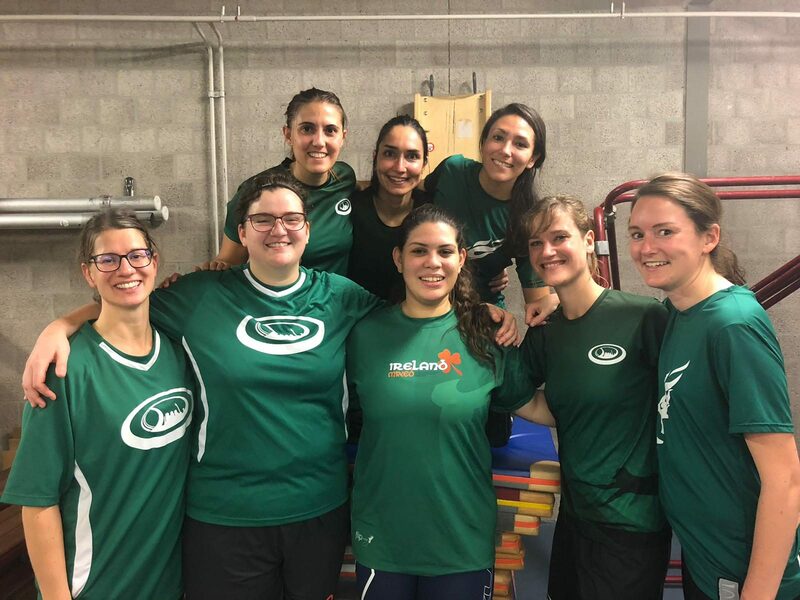 Sunday 9th of December Rotterdamnit open team went to Wageningen for the second indoor day of the 18/19 season. Our first match was against Disc Devil’s Twente. The young team had a great indoor type of play, but in the end, proofed no match for our speed and safe throws. Next two matches would be the deciders in the competition, first up Ultimaas, second would be WAF. Both matches could be characterised as a great performance of ultimate frisbee, a lot of fair play, but intense and fast. In both matches, we were at most one break point in front or one break point behind, trading lead position throughout. We managed to be in front in both games in the final minutes, but unfortunately, we gave the lead away in both games, losing both. Hell-bent on redemption, we didn’t start out great in our last match against UFO. Not wanting a similar scenario as last two matches, we upped our game halfway through the match, eventually coming away with a comfortable win. Having won 2 out of 4, we had a great time and are looking forward to the rematch against WAF in the new year. On sunday 29th of April we had our second competition day of the outdoor season we had a great time! We had a lot less rain than expected. It also was the first time for our new team mascot, 10 month old Thijs, to come and watch from his buggy. In our first game we were up against BeeFrisbee2s who had just promoted from the 6th division. The difference in playing level was to be expected since we just degraded from 4th. Still, we discovered that BeeFrisbee2s managed to break through our zone easily. Nevertheless did a switch back to man defence help deliver us a winning score of 15-5. In our second game of the day we played against Flying High, a team that we had played on our first competition day and that had degraded to 5th division as well. Flying High came with a slightly stronger team this time and the game that followed was very intense. They started out a little ahead, but during the middle of the game we gained momentum and got to 13-9 ahead. Then Flying High fought itself back which allowed them to win the game 14-13 on universe at the nerve wrecking end! In our last game we stood against UFO. The development of this game proved to be remarkably similar to the previous one. R’damnit was behind at the start but ahead during most of the game thereafter. However, UFO came back strong in the last 20 minutes and forced us to fight for our win and place in 5th division by point cap. We are looking forward to our last competition day on June 17th. Until then, we’ll enjoy our Thursday training sessions more and more thanks to the break of spring!